REACH Rehab + Chiropractic Performance Center believes that every person has the right to privacy. When using our website, services and/or products, you may give us information. REACH Rehab + Chiropractic Performance Center may ask for and maintain information on its visitors and customers to provide a better, more personal experience. REACH Rehab + Chiropractic Performance Center will never sell or trade any of the information accumulated through the course of business about web visitors, clients or other contacts. REACH Rehab + Chiropractic Performance Center employs cookies in order for its server to recognize a return visitor as a unique user. Cookies are small text files placed in the ‘Cookies’ folder on a visitor’s hard disk and allow for REACH Rehab + Chiropractic Performance Center to remember the visitor. The cookies placed by the REACH Rehab + Chiropractic Performance Center server are readable only by REACH Rehab + Chiropractic Performance Center, and cookies cannot access, read or modify any other data on a computer. All web-browsers offer the option to refuse any cookie, and if a visitor refuses the REACH Rehab + Chiropractic Performance Center cookie then REACH Rehab + Chiropractic Performance Center does not gather any information on that visitor. The REACH Rehab + Chiropractic Performance Center system may gather information such as what kind of browser a visitor is on, what operating system they are using, their IP address, and their clickstream information (for example, which pages they have viewed and how long they have been there). Note that information is only gathered while the visitor is on the website in question — in this case REACH Rehab + Chiropractic Performance Center monitors how a visitor arrives at the website, but cannot and will not gather information about other sites the visitor has been on. At times, REACH Rehab + Chiropractic Performance Center may ask for more specific contact information to be entered as a means of registration before accessing a certain part of the site. 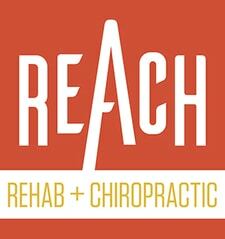 REACH Rehab + Chiropractic Performance Center uses this information to understand its visitors and, with permission, to provide visitors with updates on the company and its products. A visitor may always option to not enter any information about themselves. REACH Rehab + Chiropractic Performance Center may automatically receive and record information on our server logs from your browser including your IP address, cookie information, time stamp (time page accessed as well as time spent per web page), as well as the specific pages you requested. The only time REACH Rehab + Chiropractic Performance Center, its partners, subsidiaries, agents, officers or employees would provide specific information to anyone is if required to do so by law, and even then only to the proper authorities. REACH Rehab + Chiropractic Performance Center reserves the right to change this privacy statement at any time with 30 days notice being posted to the REACH Rehab + Chiropractic Performance Center web site. If you have any questions about this privacy statement or the practices of this site, please contact the REACH Rehab + Chiropractic Performance Center Privacy representative directly at info@customerdna.com.